My friend, children’s book author and illustrator Brian Lies, is sharing with us a great project he did last year that turned into this gorgeous, huge, yard ornament for the holiday season. Brian is a very handy guy and there’s not much he can’t MacGyver. 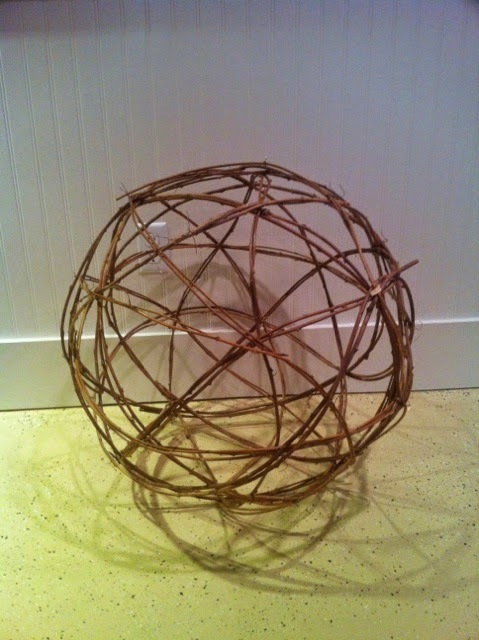 And I had an orb made from vines. Seems like most people have a string or two of unused Christmas lights around, and I wound several strings around the vines, attaching the strings with florist’s wire as I went. 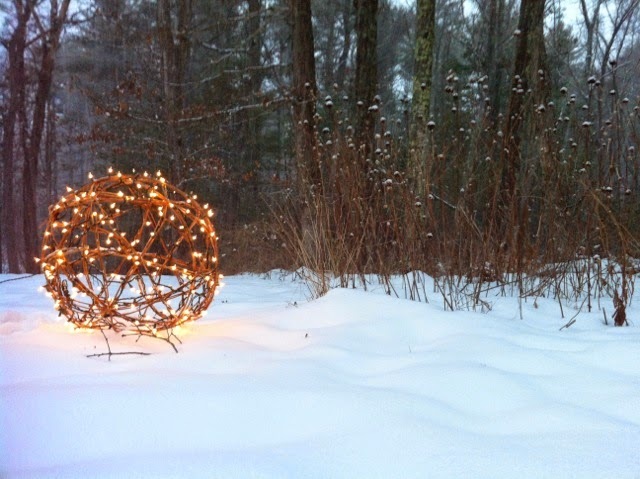 When I was done, I had a lighted orb—nearly three feet across—which we placed in our front yard, and moved around every few days. 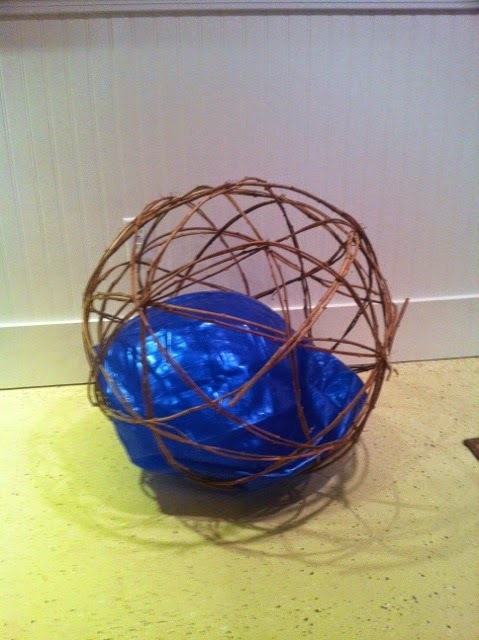 The good thing is that the orb is still in great shape after a year in the garage—the vines dried out into their now spherical shape. As long as I don’t crush it, we’ll have it to use for at least several years. Isn’t this just so pretty?? 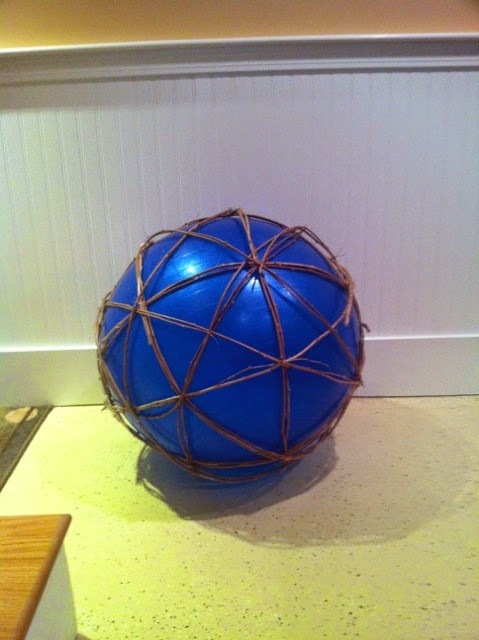 You could make them different sizes – as long as you had different sized inflatable balls to use. Thanks Brian for sharing your project and instructions with us. Brian’s latest book, Bats in the Band (A Bat Book) , has just been released. It’s filled with fantastic illustrations and a wonderful text that is entertaining for little kids and grownups alike. I will make a great holiday gift for a little one in your life and you won’t mind reading it over and over and over again!